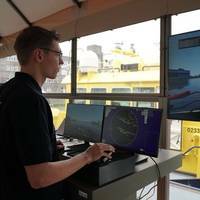 In order to prepare the Port of Rotterdam Authority for the arrival of autonomous navigation, the Port of Rotterdam Authority has converted a patrol vessel into a floating lab that collects data, including about the vessel’s operation and power.By making these data available to the business community and education, further research can be conducted into the introduction of autonomous navigation and the Port of Rotterdam can make further preparations for this.The first partnership for data exchange from the floating lab has now been signed with Captain AI. The Port of Rotterdam Authority has had a swarm of bees placed on the Maasvlakte in the verge next to the Stenen Baakplein. In this section of the Honey Highway, ten thousand bees will soon be collecting pollen and nectar. The goal of this initiative is the conservation of the original Dutch honey bee by reintroducing it to this region. The Honey Highway is now in full bloom. The flowers - planted last year by primary school children from Brielle - can be admired by motorists driving past on the A15. 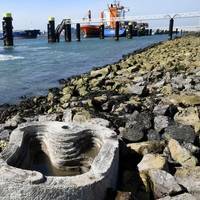 The Port of Rotterdam Authority will be constructing 16 tide pools along the north side of Calandkanaal. These pools will be realised by embedding raw concrete basins in the banks of the waterway. The design of these tide pools, manufactured by ECOncrete, ensures that water is retained for a longer time in the pools during low tide. This turns the temporary pools into miniature ecosystems, which often occur naturally in rocky coastal zones but are largely absent in modern ports. 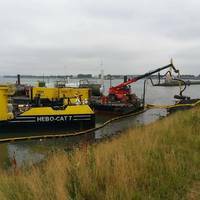 Minister Cora van Nieuwenhuizen of Infrastructure and Water Management and Ronald Paul (COO Port of Rotterdam Authority) gave the official go-ahead for the deepening of the Nieuwe Waterweg and the Botlek. 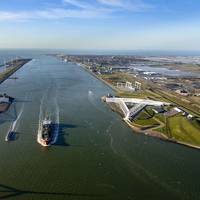 Rijkswaterstaat and the Port of Rotterdam Authority have joined forces to ensure that sea-going vessels with a draught of 15 metres can also reach the Botlek port. 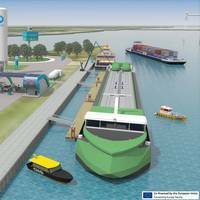 The initiation of the project took place in FutureLand, the information centre about the port of Rotterdam on the Maasvlakte. 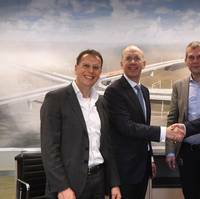 The renovated Stena Line Terminal at Europoort is officially taken into operation. As well as upgrading the existing berth, the terminal was expanded with a second berth to handle roll-on/roll-off vessels. 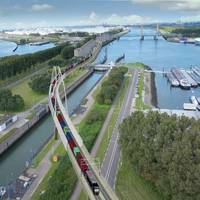 The expansion means that Stena Line is prepared for the anticipated further increase in freight volumes between Rotterdam and the United Kingdom. The renovated quay with two berths comprises a total of 212 metres. 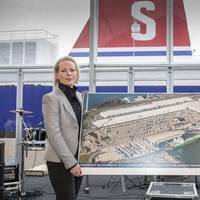 “We are delighted with the new quay and the doubling of the berths,” said Annika Hult, Trade Director of Stena Line Noordzee. 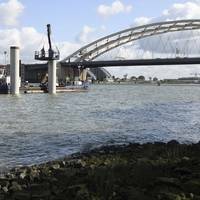 The Port of Rotterdam Authority signed agreements with two contractors relating to what is known as the port’s dry infrastructure. One contract covers maintenance of the roads in the port and the other maintenance of the green spaces. Following a tendering procedure, Van Gelder emerged as the best choice for the road infrastructure. The green spaces will be maintained by BTL. Both contracts run for two years and an express wish has been made for them to be extended by eight years. The combined sum of the contracts comes to over 14 million euros for the first two years. 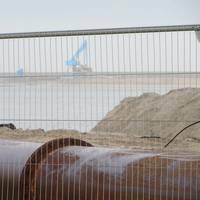 The construction of Maasvlakte 2 has been recognized by the award of the prof. dr. ir. J.F. Agema prize, which is awarded every five years to an innovative marine engineering work that was designed or constructed by a Dutch party. 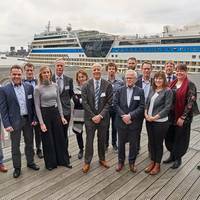 The prize, the initiative of the KIVI (Royal Institute of Engineers), goes to the entire team of client, designer and contractor, which in this case includes the Port of Rotterdam Authority and contractors Van Oord and Boskalis, as part of the PUMA consortium. The winner was announced on November 10 during the Waterbouwdag (Water Management Day) 2015 in Rotterdam. The Maritime and Port Authority of Singapore (MPA), Antwerp Port Authority, Port of Rotterdam and Port of Zeebrugge participated in a Liquefied Natural Gas (LNG) bunkering focus group discussion on 14 and 17 October, held in conjunction with the Singapore International Bunkering Conference and Exhibition (SIBCON) 2014. Mr Andrew Tan, Chief Executive of MPA, said, “As an alternative fuel, the shipping industry is looking to LNG as a cleaner marine fuel to meet international regulations.